We’re excited to announce our brand new in-classroom, free resource for middle and high school teachers. Green Careers for a Changing Climate is a ten-minute documentary that gives middle school students an introduction to Green STEM Careers and how they are a solution to climate change. The opportunity for jobs in the environmental field is growing, and students will benefit from learning about the various careers available. 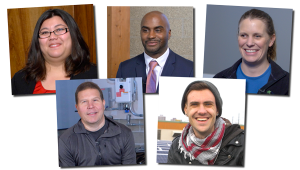 This documentary introduces students to five professionals that are employed by a Green STEM Career. The documentary offers an overview of Green STEM Careers with a clear definition, including five interviews with Green STEM professionals. They answer questions like “what advice would you give your middle school self” and “what skills are required to do your job?” The documentary also provides a clear connection between the importance of Green STEM Careers and solving climate change. The viewing discussion guide that accompanies Green Careers for a Changing Climate helps teachers get the most out of the documentary. Teachers are encouraged to stop the video after each professional interview, have a discussion using the questions provided, and complete a short activity to help students retain and analyze learnings. This resource truly comes with teachers in mind; we hosted four “think tank” workshops throughout the summer for teachers of various grades and subjects to weigh in on best practices for using this documentary in the classroom. A big thank you to Bang Brewing and Wedge Table for hosting workshops and providing free snacks! The need for students with an understanding of STEM has never been more important. There is a growing demand for people with STEM skills as the workforce expands and we need to innovate solutions in the face of global environmental change. Despite the critical need for students to choose STEM careers and to be proficient in STEM skills and knowledge, there continues to be an achievement gap for students of color and STEM college graduates are in decline. Our documentary was made with middle school students in mind; it’s important to engage youth in STEM careers at the peak age of interest, especially girls and students of color. Research shows that students of all economic and racial backgrounds have similar interests for STEM in elementary school, but by high school the gap in STEM achievement between students of color and girls alongside the rest of the student population is significant. Middle school is a critical time to reach students that are beginning to think about careers and still have an interest in STEM. Teaching about current environmental issues impacting them personally, such as climate change, is an excellent opportunity to engage students in the science, solutions, and future STEM career opportunities. Green STEM careers contribute to a low carbon economy. These careers may include solar and wind installers, climate scientists, environmental lawyers, and green construction professionals. 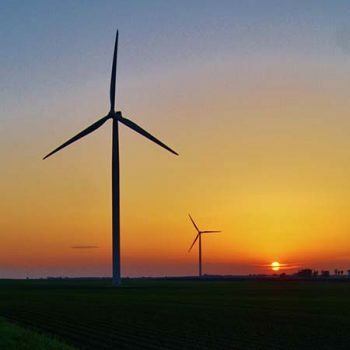 Between 2000 and 2014, clean energy employment in Minnesota surged 78%, driving economic growth and creating jobs in communities across our state. In the next 15 years, Minnesota is projected to add 25,000 new jobs and generate more than $2 billion in additional wages. This trend is being seen in many locations across the country, and must continue as the impacts of climate change intensify. As technology and innovation move our economy forward, we must provide students with the practical knowledge necessary to thrive in the new economy.